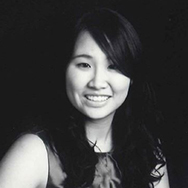 Janice Loh is a Program Manager at Duke Corporate Education. As a program manager, Janice manages the logistical aspects of the design, delivery and post-phases of customized executive programs to ensure the smooth completion of the learning journey. She acts as a point of liaison between key parties and has direct exposure and involvement in the delivery of the programs including educators’ lectures and materials, innovative experiential learning methods, online solutions, venue coordination and transportation logistics. Prior to joining Duke CE, Janice organized events including Minister’s tea sessions and senior management dialogue sessions, executed branding and outreach projects and managed scholarship recruitment. Her portfolio also includes talent mapping for C-suite level executive search projects, developing academia and research benchmarking reports and spearheading faculty-wide service excellence initiatives. An individual who enjoys the diversity of cultures and building strong working relationships and networks, Janice has lived in Singapore, Malaysia, China, England and Canada.